Yesterday we took a look at a Game Boy Advance launch game. 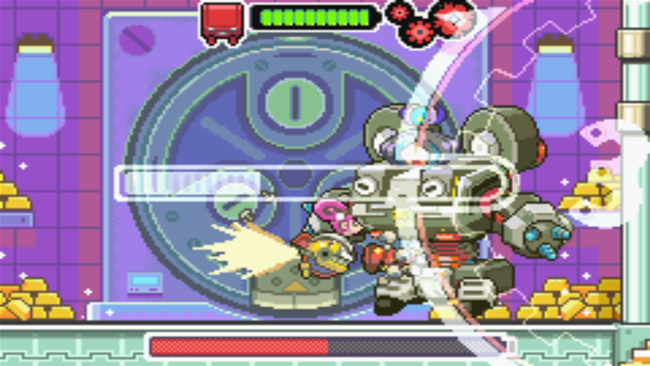 Today, we take a look at a Game Boy Advance game that released at the end of its life, Drill Dozer. Including a rumble feature right in the game cartridge, this atypical 2D platformer is definitely worth a look. Learn why with my review. In 2004, the Nintendo DS launched in most territories. That gave the Game Boy Advance, Nintendo's previous handheld, a brief four years on the market to itself. 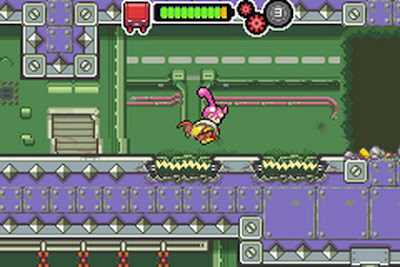 That meant that many games released after the DS's launch were overlooked, especially Drill Dozer, a game released more than a year after the DS and one developed by Game Freak, the developer behind the Pokemon games. 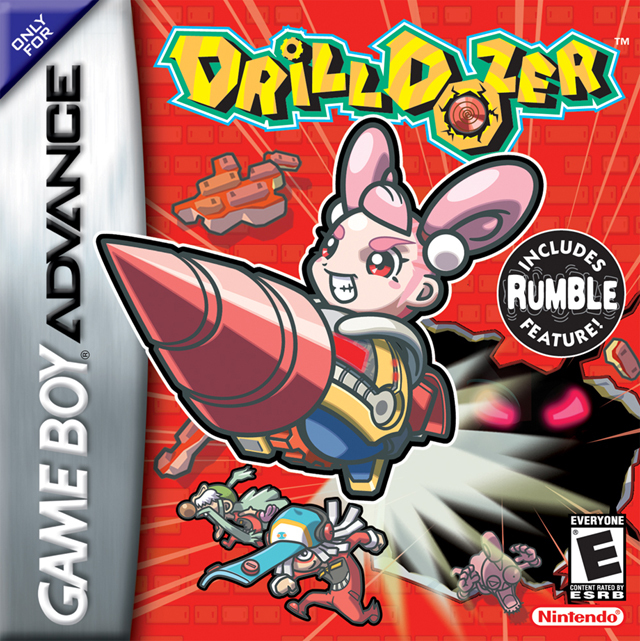 This also meant that many overlooked Drill Dozer when it launched on the Game Boy Advance. It's my duty, then, here today, to explain why it was such a shame that Drill Dozer slipped through the cracks into obscurity on the GBA and in gaming in general. Drill Dozer stars Jill, who has been made the temporary boss of a gang of bandits known as the Red Dozers after her father, Doug, was incapacitated by the rival Skullkers gang. The gang also stole a Red Diamond, a gift that was given to Jill by her dead mother. It's up to Jill and the Red Dozers to get the diamond back, and along the way they meet an eccentric cast of characters, multiple other diamonds, and multiple areas of drilling fun. It'll take more than a robot with a scorpion tail to stop Jill. Drill Dozer is an atypical 2D platformer. 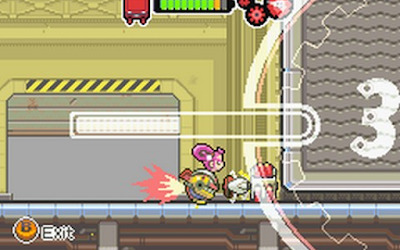 While it utilizes the basic jumping of a traditional platformer, the foundation of the gameplay comes from the machine Jill rides around in, the titular Drill Dozer. With the L and R buttons, you can turn on the drill, utilizing Jill's drill in a myriad of ways. Each level has Jill starting with a relatively weak drill that can't be used for too long at one time. As you come across new gears found in drill boxes, you can not only drill longer, but your drill can shift gears. Doing this can make the drill bore through more powerful objects that it otherwise wouldn't be able to drill through. 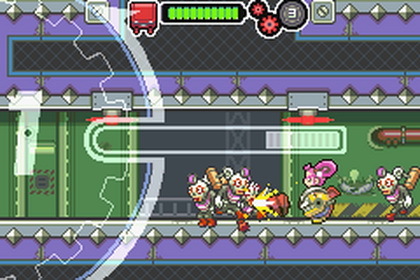 The drill can also be used to defend against enemy bullets. A lot of platforming and traversal is done using Jill's drill as well. The R button drills forward while the L button drills backwards. Utilizing these in tandem is just one way Drill Dozer tasks players with getting through the game. 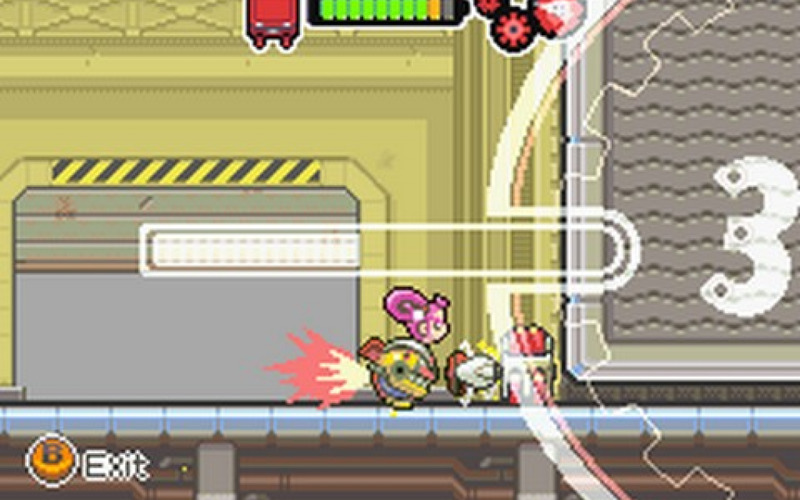 In one level, Metal City, there are wall cleaners that once drilled into with one shoulder button, you use the opposite shoulder button to be launched high into the air. Special yellow jelly blocks are also an interact-able object that Jill needs to use her drill on to progress in the game. red gears in a level have been acquired. Like the wall cleaners of Metal City, drilling into the jelly blocks with one shoulder button and then using the opposite button shoots Jill's Drill Dozer backwards, at a slightly higher arc. There are plenty of instances where Jill must use multiple jelly blocks one after the other to reach a higher platform within the game. Shifting into second or third gear while drilled into a jelly block makes it so Jill is launched farther horizontally, great for getting across pits and chasms. Outside of typical levels on land, there are a duo of levels that have Jill taking to the sky and the sunken depths. Here, the principles of drilling are a bit of different. In water, using the drill moves Jill forward through the water in the direction she is facing. What's more difficult is Drill Dozer's way of handling flight. Drilling raises Jill upwards, and it's important to shift gears when possible to keep rising up. Additionally, you can hold the L and R buttons together to remain stationary and hover horizontally. The controls are a bit tricky to get a handle on, and the boss of the flight level demands proficient precision and handling of the flight controls, making for a very frustrating first few goes at the boss. enemies in order to move on. Of course, it's not just environmental objects that Jill's drill needs to be used on to get through Drill Dozer's over fifteen levels. There are a number of different enemies and bosses that the drill is to be used on to beat these crafty foes. One boss in the Kuru Ruins requires Jill to drill the boss' arm, and when the arm moves over the boss' head, Jill needs to disconnect from the arm and land on the head to do damage to the boss. This boss left itself open to an attack in its torso. Drill Dozer consists of usually two levels per area of the game with six areas total. Levels are generally lengthy affairs, which may seem counter-intuitive for a handheld game, but the luxury here is that you can save and continue or save and quit at any time. This allows you to continue from the current room you last saved at. Drill Dozer also asks if you'd like to save your game data after each level has been completed, so there's no worry about forgetting to save in one of the game's three save files. Aside from being able to save, between levels you can check Jill's Drill Dozer's equipment, buy upgrades at the shop, and check out treasures collected. The shop upgrades consist of more health energy for Jill's machine, stronger drills to bore through things like titanium boxes, and maps that unlock secret levels within the game. 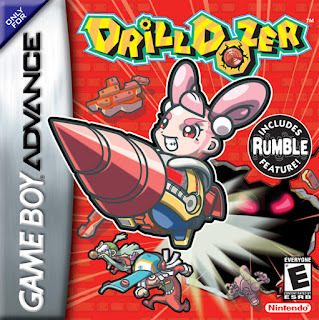 These levels are the most challenging of Drill Dozer, requiring you to have keen knowledge and ability with how to use Jill's drill to its greatest potential. There are a profusion of challenging platforming sections that will test even the greatest Drill Dozer expert. In each level there are treasure chests to be found. Most of these cannot be reached before the game is completed, as the drill required to reach the areas they are located in do not unlock until after Drill Dozer is initially beaten. There are over thirty treasures to collect, and through nabbing them, your bandit ranking increases. Starting off as a lowly thief, you can reach milestones like safecracker and more with the more treasure you grab your mitts on. Two tanks? Talk about an unfair fight! Drill Dozer's cartridge is a bit bigger than every other Game Boy Advance game pak. That's because it houses a rumble device that lets loose each time Jill drills into something. This effect might seem gimmicky, but it adds some strength and power to Jill's drilling. It feels quite nice. Not too strong, but not too weak as for the player who feels the rumble to not notice it. The presentation of Drill Dozer is quite pleasant. 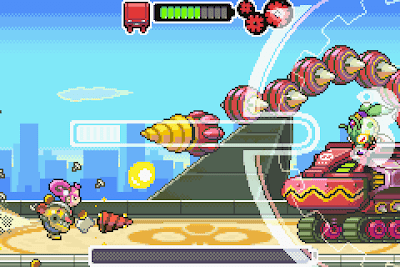 This late release GBA game features beautiful 2D backgrounds and character sprites. The backgrounds are dripping with detail, while the sprites are articulated well. The music is capable enough, but for the most part, there's only about one or two songs that have stuck with me after playing. 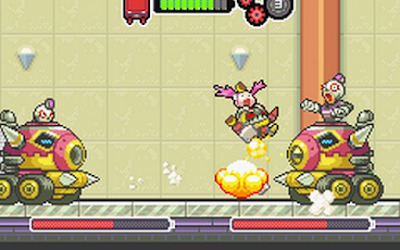 Overall, Drill Dozer is an innovative platformer that had the misfortune of releasing after the Nintendo DS launch, making it overlooked by many who had moved on to Nintendo's dual screened system. That's quite the shame, as Drill Dozer is more than competent as a platformer and deserves attention. The game is a taste of Game Freak when they're not busy building Pokemon games, and it's a very delicious taste, for sure.